Precision, light weight, powerful. The new GT brushless motor series from Emax. 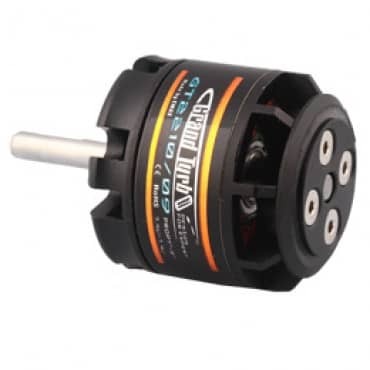 This is one of the new Grand Turbo series brushless motors from Emax. Lighter in weight and built to higher specifications. 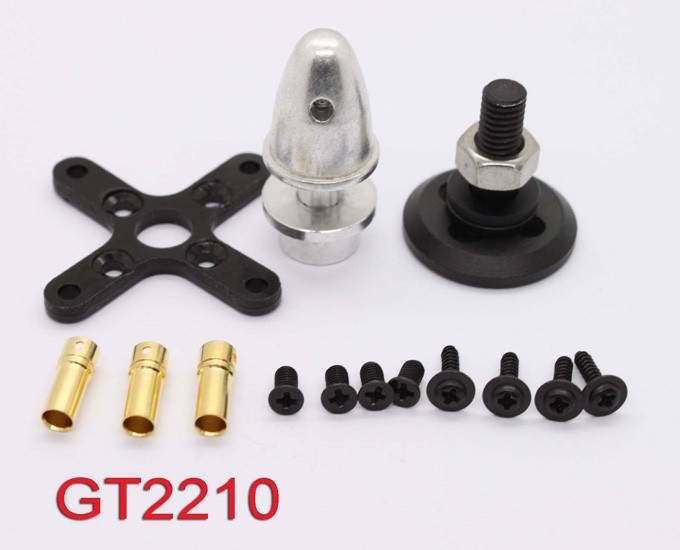 This innovative design allows front or rear mounting. The prop may be fitted directly to the motor shaft using the supplied tapered collet adapter or alternatively, directly to the motor casing using the supplied bolt-on prop adapter. Also new to the design is the incorporation of a centrifugal cooling fan machined into the bell cap. The motor leads are flexible and are sheathed in soft silicone. The ball bearings are NMB from japan. We think you will enjoy these motors as much as we do. Available in 1270 and 1470Kv, Choose your desired Kv from the drop down list above.